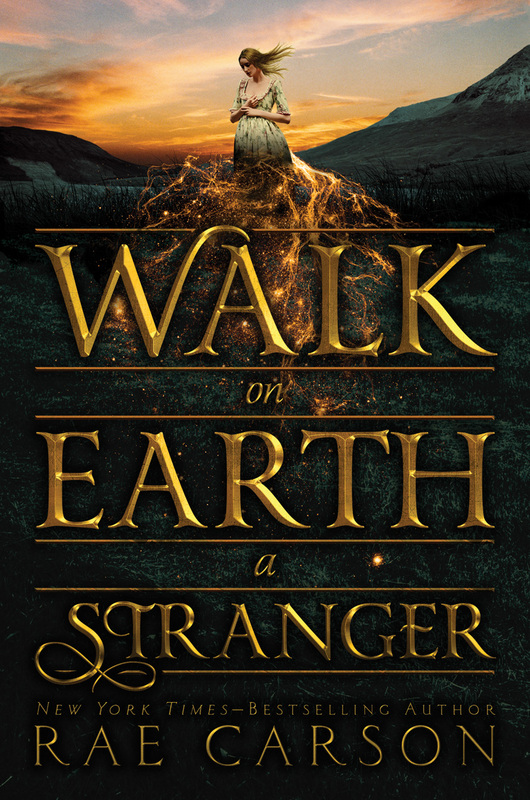 Recently I was given a digital ARC for Walk on Earth a Stranger by Rae Carson, it is the first book in The Gold Seer Trilogy. It is one of my first couple of ARCs, and I am grateful and so excited that I was able to read this before its release. I was given the digital ARC from the publisher in exchange for an honest review, so lets jump right into it. The story is about Lee (Leah) westfall who has a bit of a secret. She can sense if there is any gold around her. That’s right even the smallest speck of gold, she can sense it and figure out exactly where it is. Something huge happens and the life she knew is pulled away from her by a man who is dying to control her. Desperate she disguises herself as a boy and heads for the trail heading west. Towards California and the Gold Rush. Did you ever play Oregon Trail in elementary school? Did you ever become emotionally attached to your pixel family trying to make it across the country? Well this book kind of magically brings that to life. Though I say magically because it is such a well written book, and not because there’s tons of fantastical magic happening in the story. While she does have this power and she uses it on a number of occasions, the story focuses more on her trying to make it through the trip alive and without having her secrets discovered. I will say that in the middle it doesn’t seem like much is actually happening. I didn’t actually love any of the characters, but Lee is someone you will root for. It is slow paced but you will feel like you jumped on the TARDIS and were taken back in time. While some of the things that happened were a bit predictable, I can always overlook that when the writing is good, and that’s the case with Walk on Earth a Stranger. Lee is such a strong charcter and some of the other female characters will come to surprise you. When the ending came it set up quite nicely for the next book. The writing is really what gripped me as I read this in about a day and a half. The world building and the detail made me feel like I was right beside Lee. I enjoyed this book even if it wasn’t as fast paced as a lot of my favorite reads, I think big things are headed Lee’s way and I can’t wait to find out what. This will be out September 22, 2015 so make sure to go out and get it!! This one gets 4 out of 5 Metal Horns!!! Congrats on the ARC! This book is on my must read list as the premise sounds awesome and I’ve been hearing such great things about it- your own review included. I haven’t heard too much about the Oregon trail because I’m from NZ but eager to find out haha. you should see if the app game is available. Read a little bit about it, play the game a bit and then read this book. 🙂 I really enjoyed it, and I have been in a bit of a reading slump, and finished it quickly!